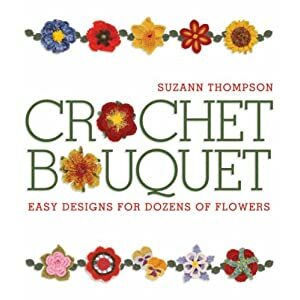 April 23, 2012 Adri H.
This week, I will give away Crochet Bouquet by Suzann Thompson. Click on the image to see the book on Amazon.com. 1 - sign up to follow the blog (ignore if you already follow it). 2 - leave a comment answering the following question: How did you start crocheting? 3 - Be sure to include your e-mail address in the comment so I can contact you if you win. That's it! Good luck, and thank you for reading!